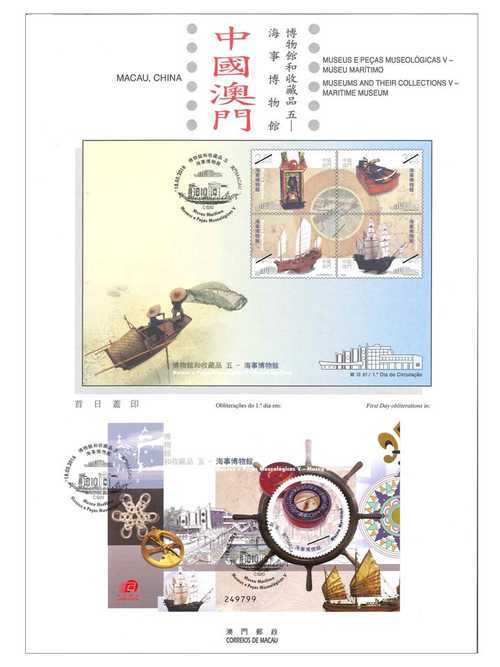 Stamp Issue "Museums and their Collections V – Maritime Museum"
Macao Post issued the stamp themes “The Macao Museum of Art”, “Communications Museum”, “Macao Museum” and “Lin Zexu Memorial Museum of Macao” under the stamp series of “Museums and their Collections” between 2003 and 2014. 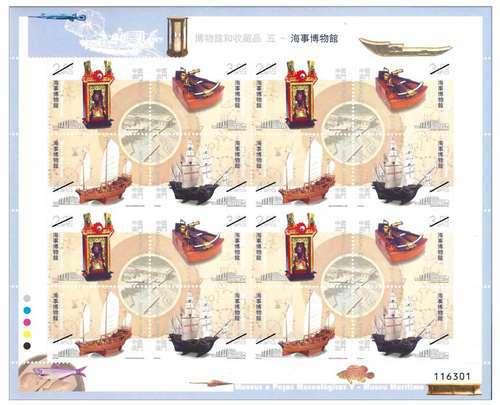 The fifth series with the stamp theme “Museums and their Collections V – Maritime Museum” will be issued on 18th May, 2016. 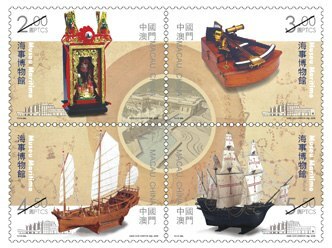 The exhibition hall of Maritime Museum has a distinct shape with a sailing ship as its design concept. 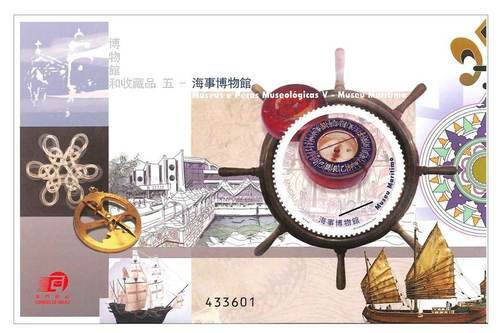 The Maritime Museum is three-storey high, with maritime activities of China, Portugal and Macao regions as its major line; it is divided into different thematic exhibition areas: Maritime Ethnology Exhibition area, Maritime History Exhibition area and Maritime Technology Exhibition area. 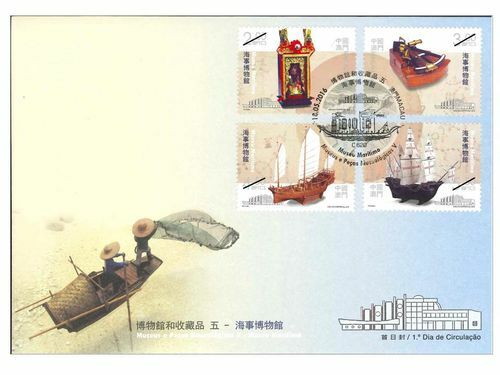 The exhibition themes of Maritime Museum do not only reflect Macao’s historical evolution, they also systemically introduce the outstanding achievements made by China and Portugal in the maritime history, indicating the importance of the ocean towards the development of human culture. 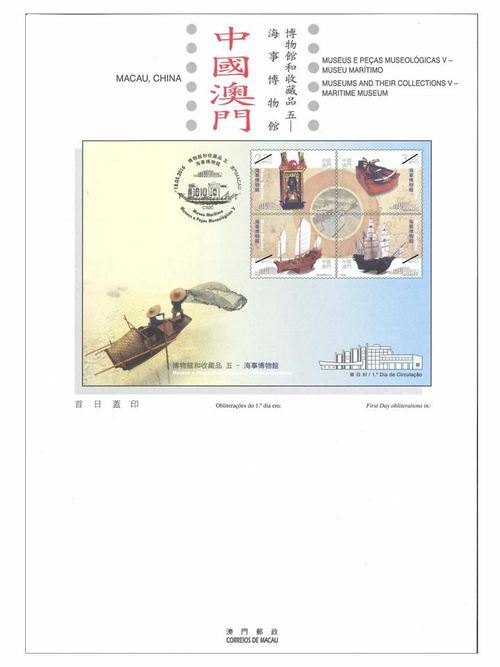 The stamp designer of this issue is Ms. Yu Si, and the text of the information brochure is written by the Maritime Museum – Marine and Water Bureau. 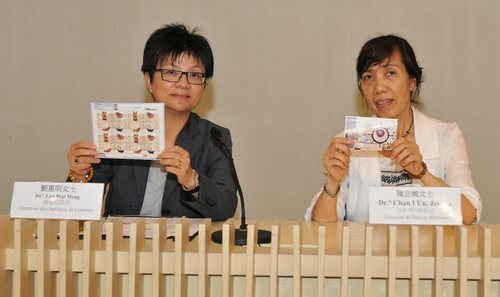 This is the sixth theme in 2016. 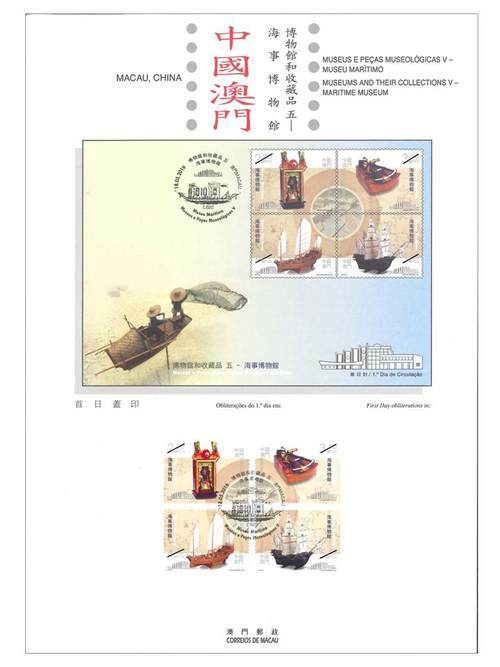 The previous issued stamps are “Lunar Year of the Monkey” on 22/01/2016, the label stamp “Lunar Year of the Monkey” on 22/02/2016, “Scenery of the Imperial Palace in Beijing” on 01/03/2016, “325th Anniversary of the Establishment of the Public Security Police Force” on 14/03/2016, “Chinese Classical Poetry – Ballad of Mulan” on 08/04/2016, and “Macao Seen by Chan Chi Vai” on 28/04/2016. 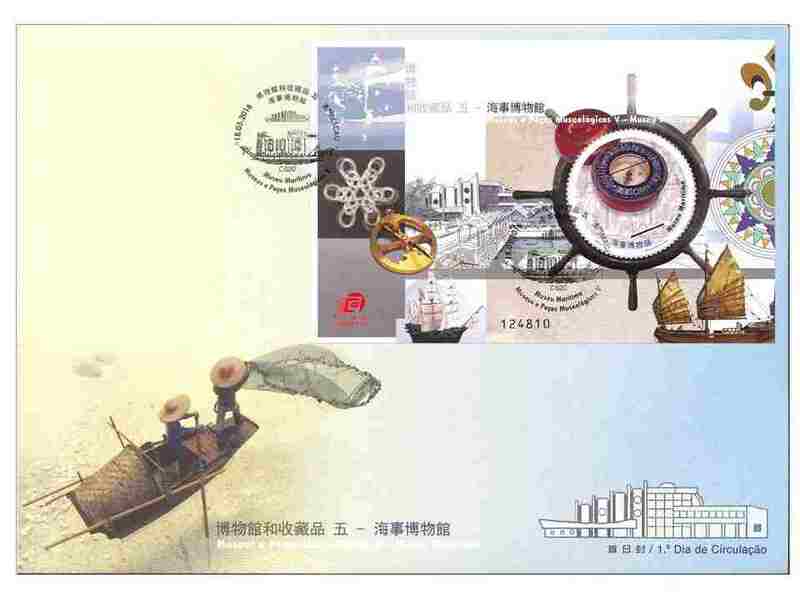 Technical Data of Stamp "MUSEUMS AND THEIR COLLECTIONS V – MARITIME MUSEUM"